The Empires struggle to contain you. 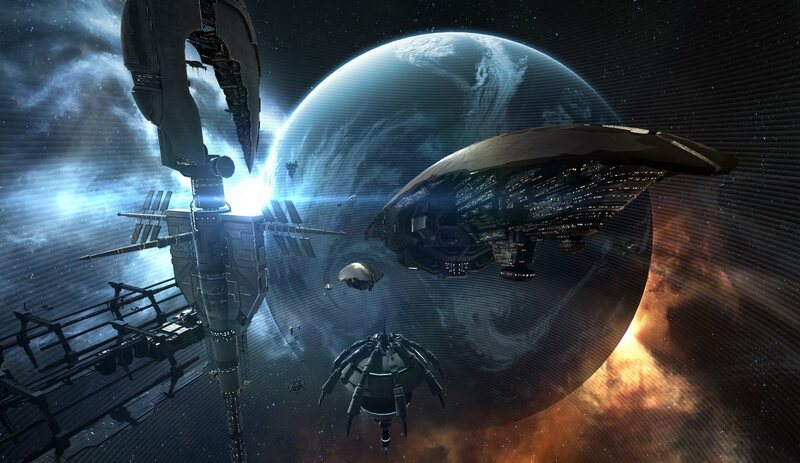 The pirate factions push the boundaries of science to combat you. Meanwhile, beneath the shiny new veneers of the stations and starbases, the industrial sector upgrades its facilities and interfaces to support you. Why? Because they know your money and power drives the universe, and making your life easier makes their wallets fatter. 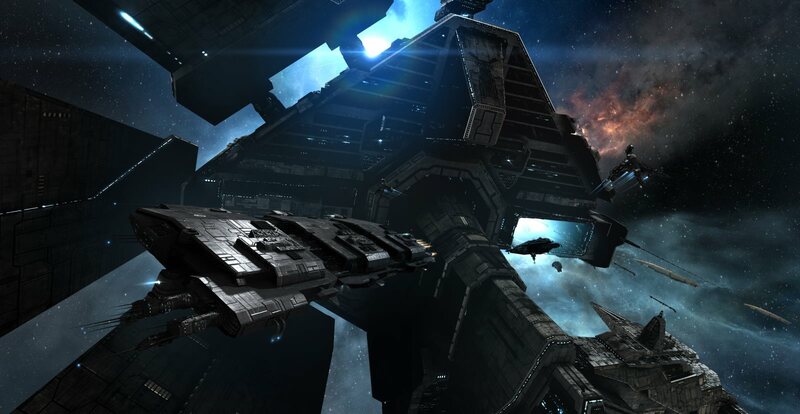 If you like the industrial side of EVE Online, you'll love the new features in Crius. If you've never tried your hand at it, now is a great time to check it out. Easier to use interfaces, more opportunities, and new features give savvy industrialists and cunning crafters that extra edge they are looking for. There's never been a better time to build. They're organized, efficient, and available to the highest bidder. Teams of industry professionals can be hired to generate system-wide bonuses to manufacturing, copy and research jobs. Go Teams! The age old problem: You've got ships to build but every installation is in use. Not anymore! In Crius, the cap is lifted on installations so that you can get your jobs done when you need to. Watch the price, though, as the stations adjust the manufacturing cost based on the number of installations in use. Your mission for more efficient material use and production now begins with a more efficient research panel. Easy to understand, easy to use. It's not rocket science. Well, it sort of is, but you get the point. 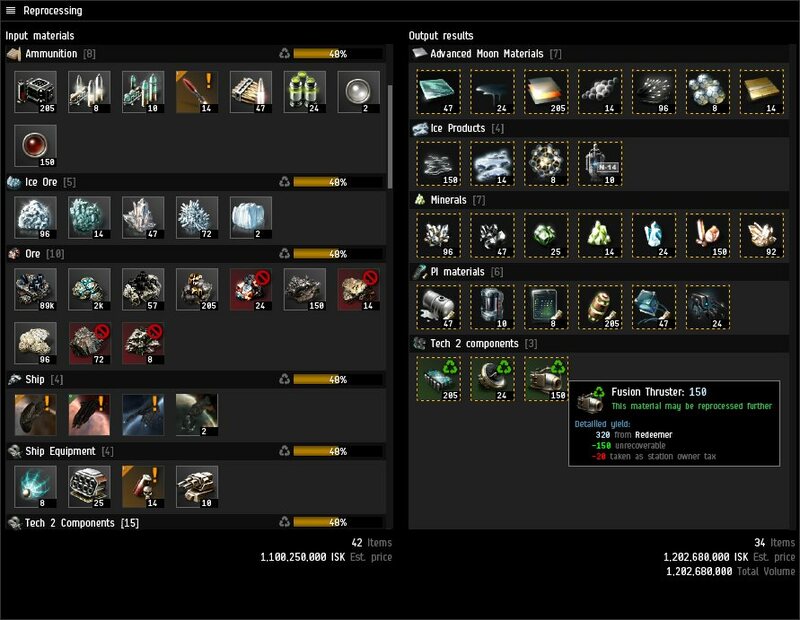 Starbase owners, get your corp ready to start remodeling. Add a Compression Array to store your ore and ice. Low sec capital manufacturers, invest in the new Thukker Component Array. 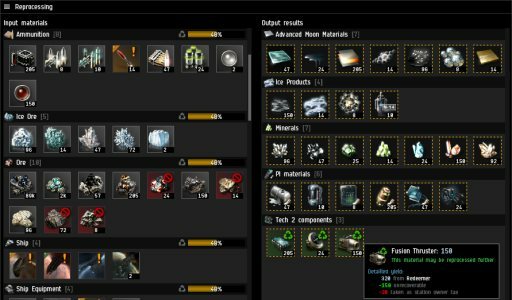 Put the new boosts, arrays and material discount changes to work for your industrialists. They'll love you for it. You'll find many of the windows you use for industry and research are visually improved and offer dynamic data crucial to decision-making. The information is more graphical, the feedback clearer. The experience, more engaging. People do a lot of strange things with gear they don't have a use for. We'd like to introduce those pilots (and everyone else, for that matter) to the new reprocessing system. 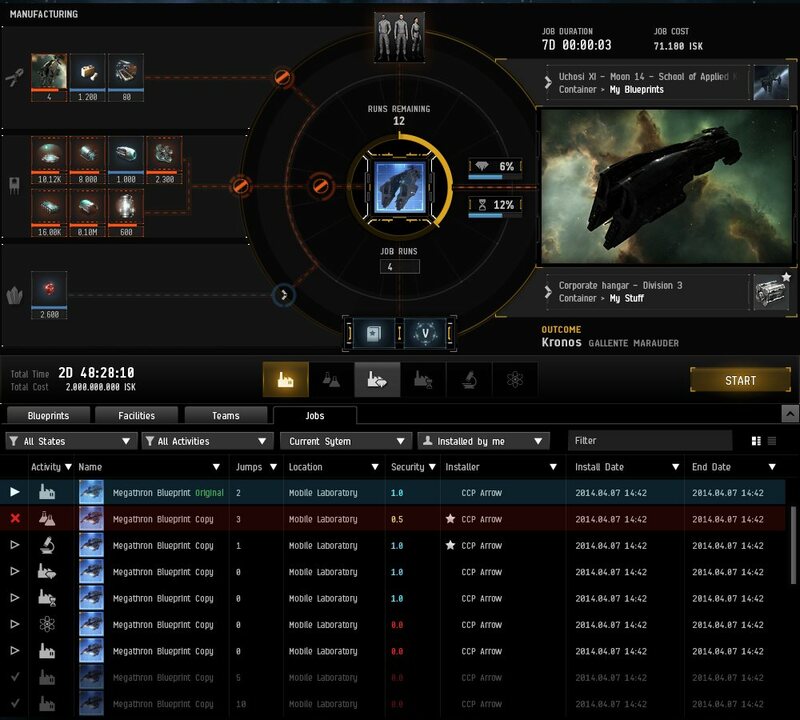 With a more intuitive interface, item grouping and market data, players can now make a more informed decision on whether to reprocess, sell or slap it on a ship for a devil-may-care venture into low sec. The atmospheric audio introduced in Retribution has made its way into stations. The bustle of busy workers means business is booming, while quieter stations are signs of less industrial activity and lower prices. Some call it procedurally generated atmospheric auditory cues, but the smart capsuleer knows it's just the sweet sound of opportunity knocking. Updates, improvements and those helpful extras are an important part of our releases. They're usually reserved for the release day patch notes, but some are just too good to not share sooner. 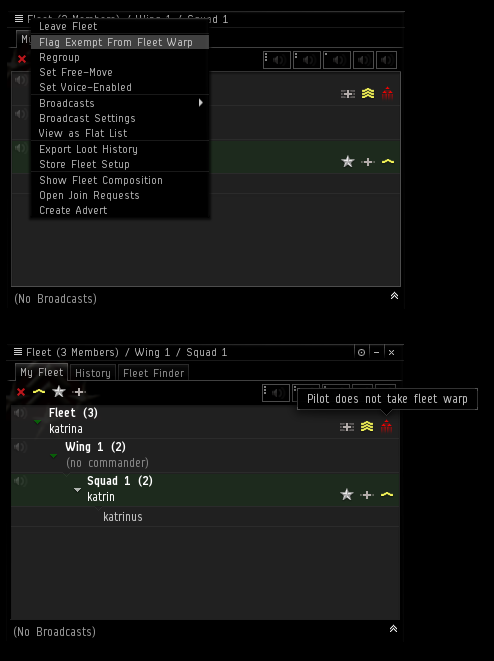 Players in a fleet will be able to opt out of taking fleet warps, which is useful for a number of roles in a fleet. 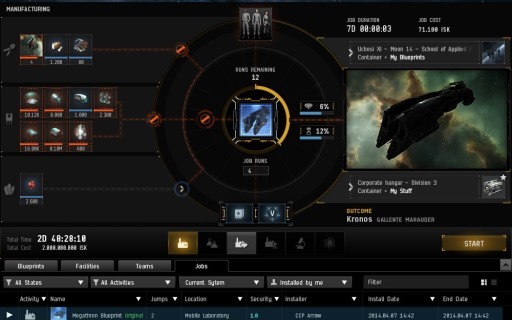 With this change, those preparing ships for others can do so without having the skills required to fit the modules. The required skills are still needed to online the modules. With Crius, we are releasing a number of new industry related features in both the EVE API and Public CREST that 3rd Party Developers and crafty individuals can use to create tools.